The Umbrella Corporation would like to remind you to get your shots! From the Resident Evil series of video games and films, it's Leon S. Kennedy! 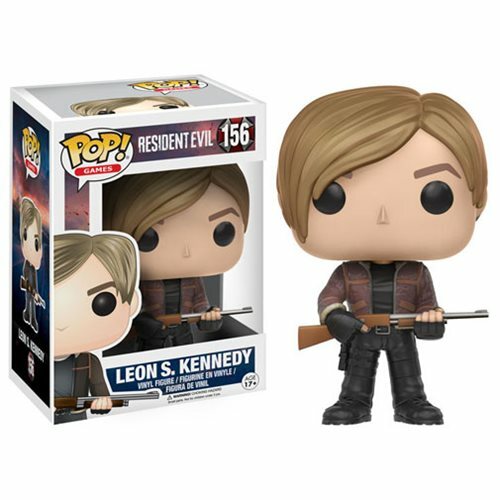 Packaged in a window display box, the Resident Evil Leon S. Kennedy Pop! Vinyl Figure neasures approximately 3 3/4-inches tall. Ages 17 and up.